Fairfield City Schools hosted the first ever State of the Community luncheon on March 13. 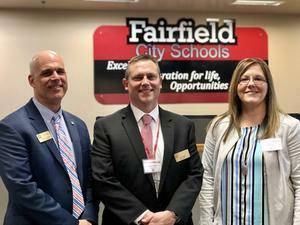 Leaders from the City of Fairfield, Fairfield Township and the school district heard updates from Mark Wendling, Fairfield City Manager; Julie Vonderhaar, Fairfield Township Administrator; and Billy Smith, FCSD Superintendent. We thank our city, township and school leaders for your service. A special thank you to the middle school drama club, under the direction of Kelly Walker, for performing an excerpt from its most recent production, Aladdin Jr.
Help FCSD Kids "Step Into Summer" With New Shoes! Are you or someone you know interested in working in the FCSD as a school secretary? Civil Service Exam for this position is required. For details, please view the job posting by clicking the headline above. Because of our school delay on February 20, all juniors scheduled to take the standard ACT Wednesday, February 20, have been rescheduled for the official makeup date of Tuesday, March 12. Attached is the picture for the exact dates that are determined by the ACT organization itself as it is a national, standardized test that Fairfield does not have discretion to reschedule. Any students who were scheduled to take the ACT with accommodations between February 20 and Friday, February 22 will still take it during this initial testing window of February 20 - March 6. They will receive information about any changes on Thursday. 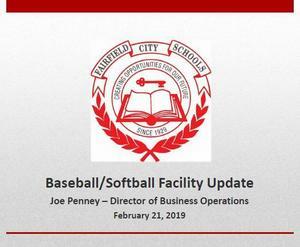 Feel free to check out bit.ly/ACTplaybook (copy/paste into web browser) for more information about Fairfield's administration of the ACT. Additionally, you can go to bit.ly/ACTquestions (copy/paste into web browser) to submit any further questions you might have. Thanks for your understanding! 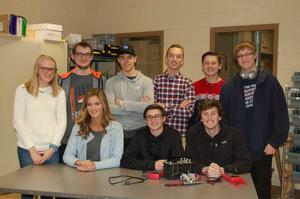 Superintendent Billy Smith shared with board members the State of the District during the work session on February 7. In it, Mr. Smith highlighted student opportunities and achievements, staff development and training, safety and security, and continued efforts to maintain a positive school experience. He also updated the board on progress with community partnerships, district outreach and community engagement opportunities. To view the presentation in its entirety, click the headline above.